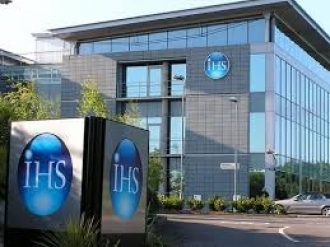 Consistent improvements in technology and gradually lower costs will drive high-concentration photovoltaic (HCPV) systems to superior efficiencies, making HCPV an increasingly viable rival to conventional solar-generating solutions, according to the latest analysis from IHS Technology (NYSE: IHS). The cell efficiency of HCPV systems, currently at 40 to 42 percent, will exceed 45 percent by 2017. Such cells, used with concentrating optics, will then lead to commercial-system efficiencies approaching 40 percent, compared to the less than 35 percent conversion rates typical at present, as shown in the attached figure. The anticipated improvements in HCPV systems are based on cell efficiencies having reached 44.7 percent in laboratory conditions, indicating that further advances are possible. Even so, the gains in efficiency will have to be balanced against the additional manufacturing costs expected to be incurred when implementing the improvements, Melkonyan noted. Driven by falling system prices, HCPV is gradually becoming attractive in several regions of the world. IHS forecasts that the United States and Central America will install the largest number of HCPV systems between 2012 and 2017, serving as the world’s biggest regional market. Installations for the region reached 54.1 megawatts in 2012. Most HCPV suppliers are, in fact, based in the United States, and their forays into the domestic U.S. market will provide notice to rival conventional PV suppliers. Mexico is also forecast to become a large part of this regional market, with plans in place for a 450-megawatt installation. Meanwhile, enormous growth will occur in South America, where the HCPV market is projected to surge by 560 percent from the time installations start in 2013 until the end of the forecast period in 2017. The primary driver of South American expansion is Chile, which has the world’s highest solar irradiation levels important for solar-power generation. But the greatest increase in the HPCV market will take place in the Middle East and Africa region. HCPV installations for the region—excluding South Africa, which is tracked separately because of its more advanced PV market—will grow to 155 megawatts in 2017, up from just 1.8 megawatts in 2012. Morocco and Saudi Arabia will be the main drivers. China could also emerge as an important player soon as suppliers from the country grow in number, with parts of southwest China shaping up to become prime HCPV locations.